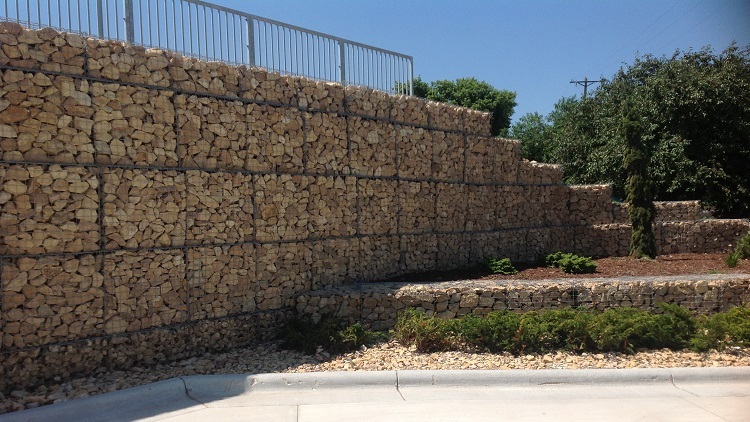 This project includes over 5,000 SF of Gabion Basket retaining walls. 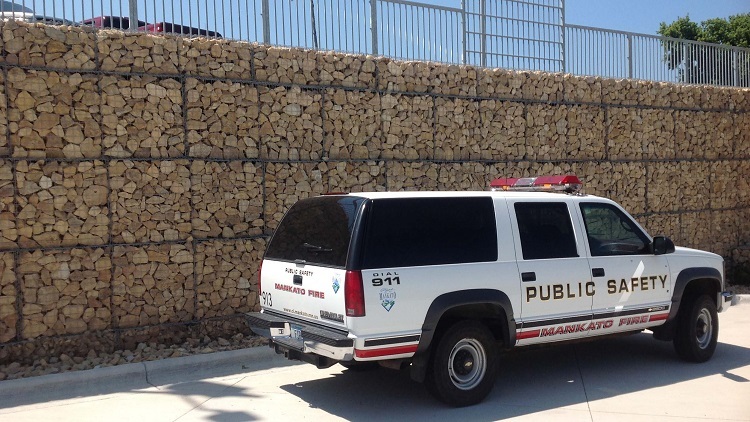 The walls were designed with a maximum height of 14′ with enough geogrid reinforcement to support heavy vehicular loading, such as firetrucks. The baskets were filled with limestone rip-rap rock. Each rock was hand placed at the face of the basket to meet high aesthetic standards set forth by the Mankato Architecture team. General Contractor: Robert W Carlstrom Company, Inc.